In the northern tip of New Hampshire, deep in a region known as the Great North Woods, Lake Francis State Park is a favorite for those who love fishing and kayaking or canoeing. 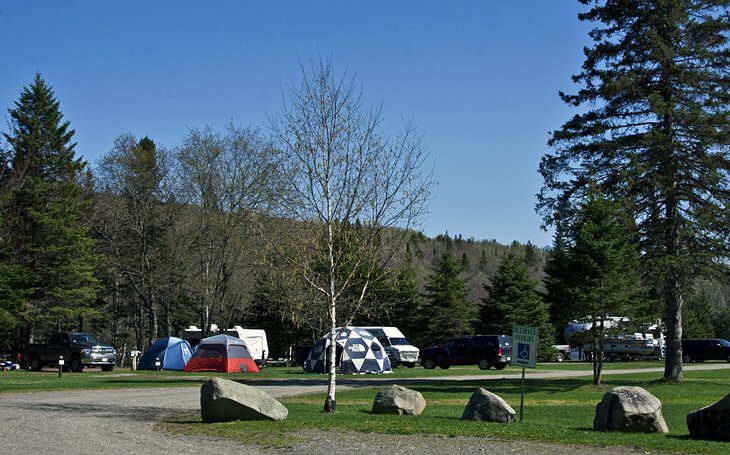 Stretching along the lake shore, the campground offers 45 campsites, 9 of which have RV hook-ups and 9 designed for ATV camping. Leaving right from their campsites here, ATV riders can access 1000 miles of off-highway trails in northern New Hampshire. Kayakers and canoeists can explore 200-acre Lake Francis itself, as well as the long string of Connecticut Lakes that stretch northward almost to the Canadian border. These are all connected by the Connecticut River, whose headwaters begin just at the border. A small camp store provides a surprising stock of staples and necessities.